A quick look at Magical Bitcoin shows that it is a program that you should stay away of. 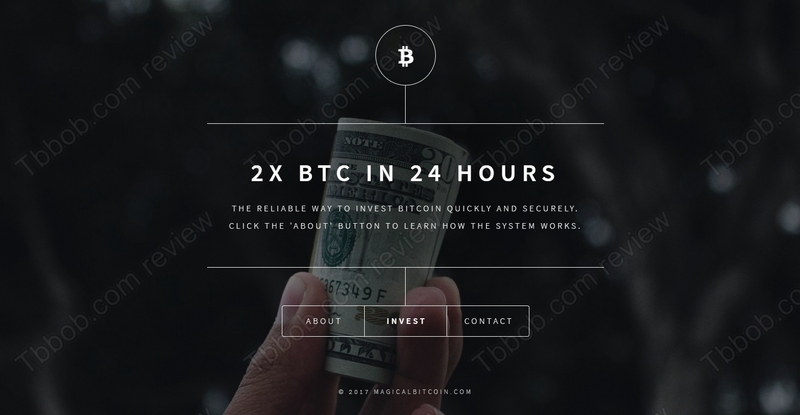 Magical Bitcoin has an extremely short web presentation, it just says that it will double your Bitcoins in 24 hours. 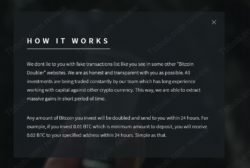 People who are running this program will allegedly trade with your cryptocurrency to make profits and be able to pay you the double. The first thing you should notice is that Magical Bitcoin is totally anonymous. There is no contact information, you don’t know who is behind this program. And that’s a big problem, because Magical Bitcoin clearly is an investment service, so it has to have a licence. But as Magical Bitcoin is obviously anonymous, it is not regulated, therefore it is an illegal service in most countries. You have to realize that Bitcoin transactions are irreversible, so in case of problems you will have no possibility to recover your money. So, sending cryptocurrencies to anonymous people is a really bad idea. The second thing you should notice is that doubling Bitcoins every day is impossible in trading, especially these days, when its price is going sideways. 100% on your investments every day means 3000% per month, which is an insane number. Only Ponzi schemes offer this kind of returns. Ponzi schemes use new deposits to pay older profits, which of course means that sooner or later such a system runs out of money and collapses. 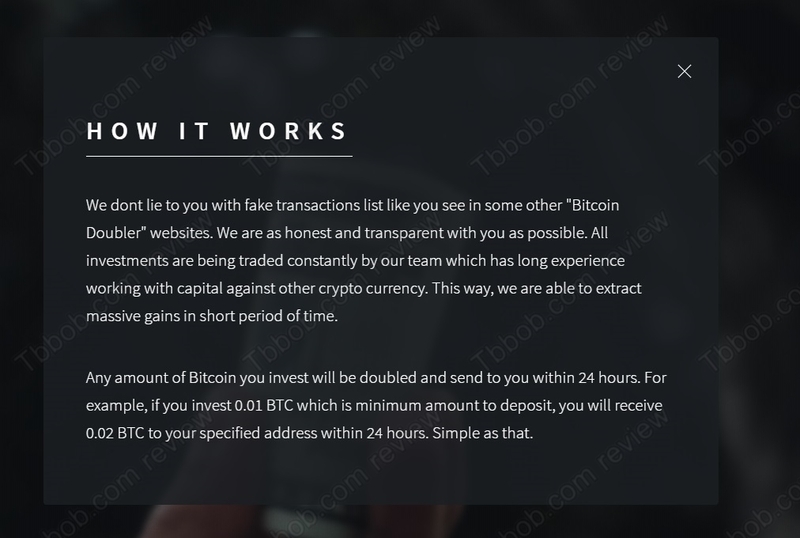 We believe that Magical Bitcoin is not doing any real trading, it is just a Ponzi scheme. Magical Bitcoin is an anonymous service that promises unreal returns, so we recommend staying away from it. Make no mistake, it is possible to make money in cryptocurrency trading, but you cannot double your money every day. 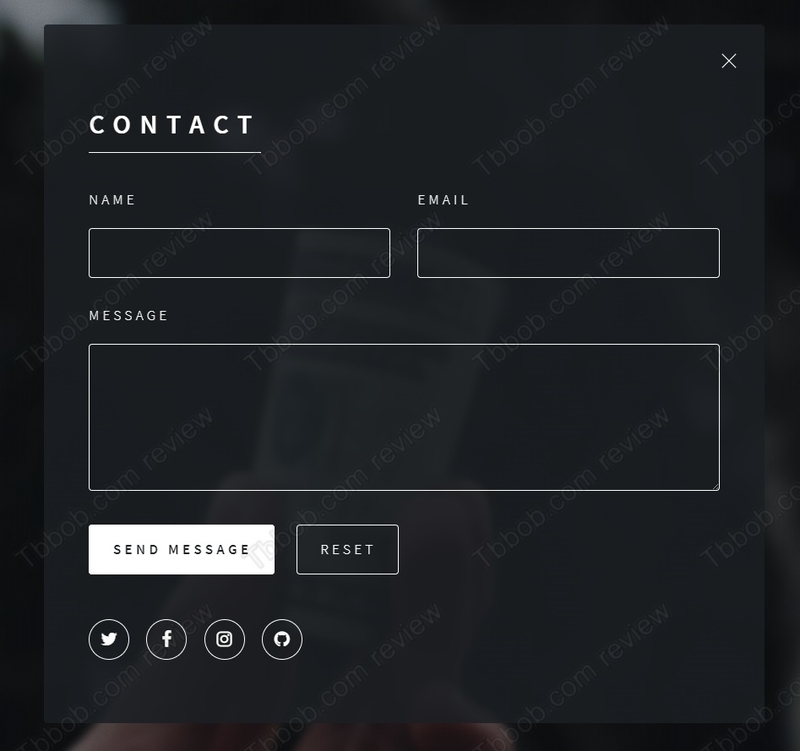 Try a free demo account with a regulated broker to see how it works and what is really possible.